Barney Wee is head of the experienced institute: Mind Transformations. Barney Wee is IN & ICI Ambassador of Singapore. Barney Wee is the pioneer of Multi-Intelligence NLP. He has combined Neuro-Linguistic Programming with the practical aspect of the Multiple Intelligences theory and he is now helping people achieve congruent and sustainable change at all levels – through coaching and training. Barney was trained by the original developers of NLP, namely Dr. Richard Bandler, Tad James, and Robert Dilts. 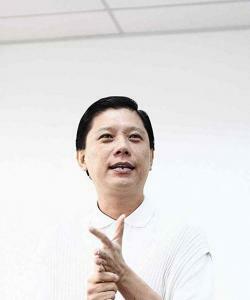 He became an NLP Practitioner in 1995 and an NLP Trainer in 1997. Since then, Barney has trained hundreds of NLP Practitioners and thousands of people in the practical applications of NLP, including Sales, Communication, Coaching, Interviewing Skills, Personal Effectiveness, and especially “Changing Personal Paradigms”. Through Mind Transformations, the company that Barney founded in 1997, has become the leading provider of NLP solutions in Singapore, with the largest pool of NLP Practitioners and Master Practitioners trained. Mind Transformations is also present and very active in other countries in South-East Asia and has recently – in 2014 – expanded to Africa as well. Barney’s training, consulting, and coaching integrates the latest findings in science and spirituality to give people practical applications that are transformational, yet easy to use. • 2008/2010 - Recognised for his entrepreneurial spirit; he was nominated for the 2008 Spirit of Enterprise Award and was a recipient of the 2010 Successful Entrepreneur in the Platinum Category. • 2009 - Singapore Women’s Everest Team – Barney has coached one of the women in the all-Singaporean-women team to successfully summit Mt. Everest. • 2010 - International Authority in NLP. Barney was invited to speak at the “NLP Now Telesummit”, alongside the world’s most experienced NLP Trainers. • 2012 - Book feature. Barney’s journey from rags to riches was featured in the book The Millionaire Story, together with many entrepreneurs in Singaporean. • 2014 - Book publication. Barney co-wrote the book Choices of Now with Agnes Lau. It integrates the best in science and spirituality to give the world the coherent message that in the midst of environmental, social, and economical chaos, we, as individuals, are ultimately the solution in our world. • 2015 – NLP Leadership Summit. Barney was invited and accepted into this selective group. The purpose of this network is to promote the development of high quality NLP worldwide. • 2017 - "Global Training & Development Leadership Award" - from the World HRD Congress in Mumbai. This is vetted by a core panel of 12 Senior accomplished HR & Business Leaders. Together with ICI, Mind Transformations strives to redefine the coaching practice in the world, such that coaching is seen and used with a Multi-Intelligence approach, i.e. a truly integrally intelligent method that incorporates Physical, Emotional & Spiritual intelligence. This involves educating the global coaching community and, inevitably, redefining and raising the standards of coaching. As an Ambassador of ICI, we, as a company, aim to "Be the Change", to courageously hold ourselves accountable to our core value of "Supporting Life" in every engagement (not just in coaching moments). Through the coaching methodologies and the coaching community, we strive to Support Life - one person at a time, one organisation at a time. Our physical world is a reflection of our collective consciousness, therefore how we define success and happiness literally determines the fate of our world. Together with ICI, we strive to promote a world where life is ecologically sustainable, creating a new civilization where humans, animals, and nature live harmoniously and abundantly. This ultimately means slowly but actively living and promoting a life-supportive consciousness, where "Doing Good & Doing Well" i.e. a world where "Family, Work, Planetary-Health & Spirituality" can co-exist synergistically.